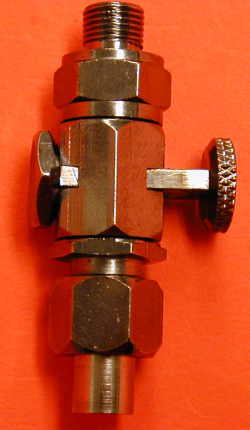 British made quality fuel tap. Top is 1/8GAS. Fits all AJS and Matchless tanks. Bottom thread is 7/16GAS, so you need PTF04 nut and PTF06 spigot.